As the month of June approaches, we realise that the incumbent President now has only 18 full months in office before the last date by which a presidential election should be held and a new president declared elected. According to Article 31(3) of the Constitution, the poll for the election of the President has to be held not less than one month, and not more than two months before the expiration of the term of office of the President in office. Going by this constitutional requirement, the last day by which the presidential poll will have to be held, is the 9th December 2019 because President Maithripala Sirisena’s term in office ends on 9 January 2020. According to Section 2(1) of the Presidential Elections Act, No. 15 of 1981, when the Commissioner of Elections is required by the Constitution to conduct a presidential election, he has to fix a date for the nomination of candidates which is not less than sixteen days and not more than one month from the date of publication of such Order. The date on which the poll is taken has to be a date not less than one month and not more than two months from the date of nomination. Thus, when we work backwards from the last day on which the next presidential election should be held that is, 9 December 2019, we find that the latest that nominations for the presidency can close will be 9 November. Since there has to be a period of at least 16 days for nominations to close after the election is declared, we see that the presidential election will have to be declared at least by the third week of October 2019 if the 9 December 2019 Constututional deadline is to be met. There has never been a dull moment in Sri Lanka after the yahapalana government came into power and in the midst of all the natural disasters and political crises, the next eighteen months will fly by and before we know it, the next presidential election will be upon us. In the meantime, there is yet another hurdle that the government has to clear before they come to the next presidential election – that is the provincial council elections which are now long overdue in three PCs. The Sabaragamuwa, North Central and Eastern provincial councils ceased to exist around the beginning of October last year. This year in September, three more including the northern provincial council will stand dissolved. Even though nobody was heard saying anything much about the dissolved PCs in the past few months, since of late we have begun hearing calls for the PC elections to be held. The former chief minister of the east Naseer Ahmed has been quite strident in his demand that the elections to the dissolved PCs be held without any further delay. Memebers of the joint opposition have also been making noises anout the need to hold elections to the dissolved PCs. The real campaign to demand the holding of PC elections will begin only in a few months when the northern PC stands automatically dissolved. These PCs were set up mainly for the benefit of the north and east and the people of the south are largely indifferent towards the provincial councils. Had it not been so, with there being no provincial councils in three provinces, the people would have been out on the streets demanding that the elections be held. Those in the eastern province have been generally quiet during the past few months, but that too is probably due to the fact that the powers that be of the province are in the government and are responsible for passing the amendments to the PC elections law which has caused the delay in the elections. However, once the northern provincial council stands automatically dissolved in September this year, the cries for the election to be held expeditiously will begin to dominate political discourse. The Tamil National Alliance may be willing to play along with the government and delay the elections because they are now under siege by new political formations in the north. But those new political formations which tasted blood at the last local government elections will want the PC elections to be held because that may be the way they can dislodge the TNA from its preeminent position in northern politics. However, if the government does hold elections to the six provincial councils that will stand dissolved by September, there is the danger that the political parties in government will fare even worse than they did at the local government elections in February. If they hold the presidential elections after another drubbing at the PC elections, that will make the result of the presidential election a foregone conclusion. It has to be borne in mind that the number of votes that the newly formed Sri Lanka Podujana Party actually got at the last local government elections may not be representative of the actual number of votes it should have got. The local government election was a kind of trial run for the SLPP. That was the first time in the history of the democratic world whereby a third force overwhelmed two established political parties to become by far thes ingle largest political formation in the country. Now we have a two party system in the country once again – the SLPP and the UNP with all the others including the SLFP becoming minor parties. When we went into the LG election, that was in the midst of a lot of uncertainties. Nobody knew what kind of an impact established, seven decade long political loyalties vis a vis the SLFP will have on the newly formed SLPP. Then there was the fact that governments in power have never lost local government elections and so many other factors which left a question mark over how the SLPP will perform. So it’s really at the next election – the PC election – that the proper contours of the newly realigned SLPP/UNP two party system will become apparent. So the probability is that the PC elections will be even more detrimental to the SLFP and (to a lesser extent) to the UNP as well. Furthermore, there is the added complication that if the provincial councils elections are held in two stages, with elections to six councils being held at the end of this year and the last three PCs next year just before the presidential elections, all these repeated defeats could have a cascading effect on the presidential election. Going by the results of the local government elections, the parties in the yahapalana coalition with the help of their minority party allies will be able to win only the northern and eastern provinces and they will most probably lose all the other provinces. So the chances are that President Sirisena will try to head off the provincial council elections by holding the presidential elections before they are due. According to Article 31(3A)(a)(i) of the Constitution, the President may, at any time after the expiration of four years from the commencement of his first term of office, declare his intention of seeking a mandate to hold a presidential election, for a further term. President Sirisena will complete four years in office on 9 January 2019 and a Presidential election can be declared at any time after that in terms of Article 31(3A)(a)(i). If President Sirisena holds an early Presidential election, he will be able to face it with only one defeat in the background. However if he waits until he completes his full term, he will be facing a presidential election after a two or even three defeats depending on whether the PC elections are staggered or not. If however he calls for a presidential election before any of the PC elections are held, he will be able to go to the polls with only the LG election defeat in the background. Of course it is obvious that even in this scenario, he will be at a disadvantage, because he will be going for a presidential poll without functioning provincial councils in the north and east in a situation where he depends on those two provinces for the bulk of his votes. 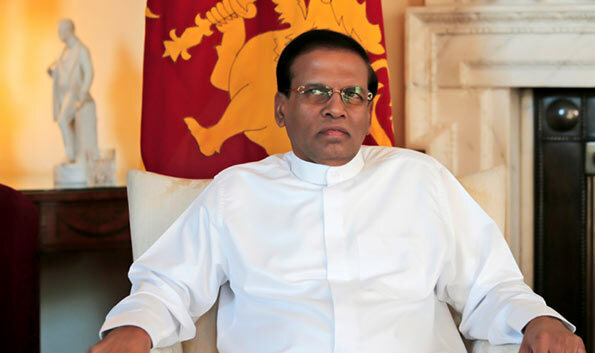 Both provinces had functioning provincial councils under the Rajapaksa government and it’s not going to look good if Maithripala Sirisena goes to them asking for a second term without the provincial councils that the Rajapaksas had given them. Athaulla in those provinces. So the coming months, the question whether to hold the PC elections or to go for a Presidential election straightaway, will be the difficult choice that President Sirisena will have to make.